CM Punk vs John Cena, JTG vs Air time on RAW, the classics. 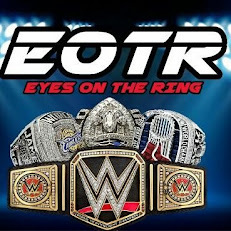 In this special series, Eyes on the Ring will relive the rivalries that kept pro wrestling feel interesting in the new millennium. In this episode we’ll look at one of the best indie rivalries of this generation, Sami Zayn vs Kevin Owens. We’ll look at the early beginnings from Sami and Kevin’s journey into the business as well as their partnership in numerous promotions such as Pro Wrestling Guerilla and Ring of Honor. We’ll talk about their Final Battle wars in Ring of Honor as well as their feud in NXT. So pop in your headphones for 20 minutes and take a tour of the greatest rivalries of the 2000s.